World Migratory Bird Day Celebration. Songbird banding demonstration and kids activities. Juneau Community Garden off Montana Creek Road. Parking lot next to the Back Loop Bridge. Picnic area parking on north side of Eagle River, mile 28. Additional walks are being planned for June. Tickets are available at Hearthside Books. Join Juneau Audubon Society for our yearly Berner’s Bay Cruise fundraiser! The dates this year are Saturday, April 27th and Saturday, May 4th. The boats leave from Statter Harbor in Auke Bay at 8:30 a.m., and board about 15 minutes before departure. On-board naturalists will share their knowledge of seasonal wildlife. We usually see sea lions, gulls, whales, loons, and more. Children under 12 $25 Children must be accompanied by an adult. Allen Marine vessel holds 120 people. Cruise lasts 4 hours. Juneau Audubon Society is seeking one Intern, based in Juneau. Duties will include: Tree Swallow nest box monitoring, assistance with swallow and hummingbird banding research project, data entry and document scanning; may also include assistance with environmental education projects, web design, and help with other wildlife projects. Good work experience for students! Deadline: Open until filled. Review of applicants will be begin immediately. Compensation: $1200 food and expense stipend for a 6-week period, plus bus passes or $100 for fuel. Required skills: Basic birdwatching skills, interest in wildlife management and working with non-profit organizations, general computer skills – use of Microsoft Excel and scanner; an introductory college biology or natural resource course passed; ability to hike several miles; ability to take neat and complete field data. Volunteer needs to have their own housing in or near Juneau, a cell phone, health insurance, and be age 18 or older. 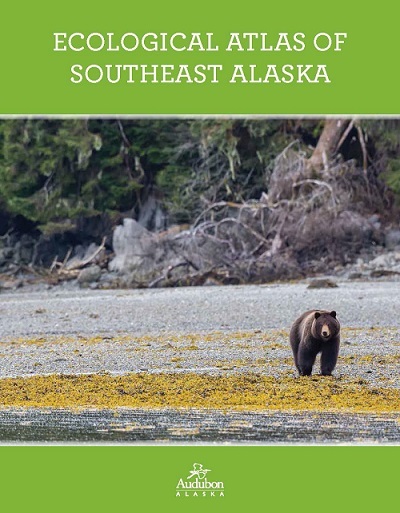 The Ecological Atlas of Southeast Alaska explores the geography, wildlife habitat, and human uses of Southeast Alaska. You can download a high-resolution electronic version of the atlas (resolution is 144dpi, 100MB file). You can download high-resolution (200 dpi) versions of individual chapters. In January the CBJ Assembly narrowly voted to re-move extra protections for Bald Eagles that limited development and disturbance within 350 of active nests and 50 feet of non-active nests. The reason given was that there was no way to enforce the rule and no federal biologists available to find and check on eagle nests. This rule change no doubt will be a disappointment to those who want to see the local eagle population continue to thrive, and are concerned that nests will be disturbed. However, eagles are still protected by the Migratory Bird Treaty Act and the Bald and Golden Eagle Protection Act, which prohibits anyone, without a permit issued by the Secretary of the Interior, from "taking" bald eagles, including their parts, nests, or eggs. The CBJ also drafted Best Management Practices, where developers can voluntarily be better neighbors to eagles. Some eagles can be quite tolerant to development. Now, it may be in part up to citizens to keep tabs on known nests, to ensure that eagles are not being hassled. If you know of an eagle’s nest that does not already have a yellow eagle sign at the tree base, it’s a good idea to document its exact location (such as a GPS point, or a pinpoint on Google Maps), and the dates that birds are using it, especially when the young are present. If there is a development planned nearby, or you are concerned that an eagle or any raptor has been jeopardized, inform the US Fish and Wildlife Service 907-780-1160 . State Watchlist Birds in Southeast Alaska Part IV: A Refuge for Hummingbirds? 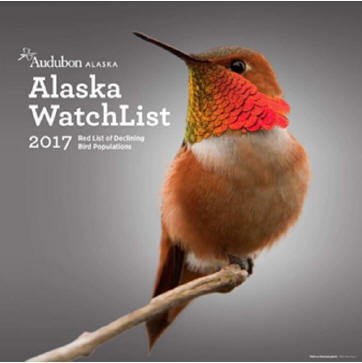 We continue to discuss the Audubon "Red" watchlist for Alaska, updated in 2017. The list uses the best avail-able trend information to highlight species that are in decline, or especially vulnerable to big population drops, and for which key parts of the birds’ habitat is within Alaska. What species is on the cover? The Rufous Hummingbird. We are lucky to encounter this species frequently during Southeast Alaska’s short summers. Their arrival is celebrated in April; they are even the center of birding, arts and other fun events at the Ketchikan Hummingbird Festival. Usually the first sightings are males, but both males and females set up shop between mid-April and early May. The males don’t help at all with the nest or nest-lings and take off by July 1. Females begin to migrate out in July and are rarely seen after August 1. A few young birds may linger in to fall, but they too are mostly gone by the first week in August. Rufous hummingbirds breed throughout the Pacific Northwest and Northern Rocky Mountains. They winter in Mexico, especially in the Sierra Madre mountains. Some also use drier parts of Mexico or the US Gulf states. Hummingbirds eat a variety of insects and spiders in addition to nectar and sap from sapsucker wells. Unfortunately, multiple broad scale bird surveys suggest a potential decline in the species. Because hummingbirds behave differently than most songbirds, being more clustered around food sources such as flowers, the differences detected could be related to different flowering patterns and not differences in hummingbird populations. However, different flowering times could mean trouble for these migratory birds as the climate warms. Other concerns that have come to light recently include: changes in flower availability due to climate change or land use change, drying of forests in the northern Rocky Mountains, fire suppression in the Sierra Madre, systemic pesticide use, and wide use of hummingbird feeders. Perhaps Alaska will be become more important as a breeding area, remaining lush and moist as parts of the Northwestern US be-come drier. What can we do? Support initiatives that help pollinators. These will help hummingbirds too. Support limits to use of systemic pesticides (neonicotinoids) both at home and in Mexico. Plant organically grown flowers. This is the safest way to enjoy hummingbirds. If you decide to keep a feeder, keep in mind that it’s a commitment to keep the birds safe. Think about any hazards including windows. Avoid feeders with sharp edges or small downward facing holes (birds can get startled and catch a bill or feet in these). Clean and scrub all surfaces of feeders at least twice a week. Mold can kill hummingbirds. Boil white sugar and water only, no dye or brown- colored sugar. In December, Dr. Nils Warnock, Executive Director for Audubon Alaska, spoke in Juneau about the latest Audubon watchlist for Alaska. The list uses the best available trend information to highlight species that are in decline, or especially vulnerable to big population drops – and for which key parts of the birds’ habitat is within Alaska. Last month, I discussed three red-listed species from this list that may be found in winter locally: Greater Scaup, Yellow-billed Loon and Marbled Murrelet. I continue the discussion this month with a bird that passes through Southeast AK on its journeys: Lesser Yellowlegs. This species breeds in bog areas throughout much of interior AK and boreal Canada. They like to forage in open, shal-low mud areas such as river mouths and wetlands. Lesser Yellowlegs are complete migrants, meaning there is no overlap between breeding and non-breeding range. And they cover a lot of distance. Boreal breeding birds may be heading into South America. Its not known how and if the birds divide up by sub-population into different continental routes or flyways. A fascinating presentation about this, along with interesting results from tagged birds can be found here . The results show that birds from Anchorage went essentially all over the Americas. For example, one bird stopped over in New Brunswick and Guyana before spending most the winter in Argentina. I always assumed that a Lesser Yellow-legs I saw at Mendenhall wetlands in August was using the Pacific flyway and heading for places like the estuaries of Northern California and Isthmus of Tehuantepec, Mexico, because these are places I happened to have seen groups of them. If there is a Pacific coast movement that parallels movement seen along the Atlantic and through the middle of the continent, it does not seem to be published yet for individual birds. A surprising threat has been identified for yellow-legs: hunting at migratory stopovers. With the exception of snipe and limited subsistence take, hunting of shorebirds is rare in North America, thanks to their inclusion in the Migratory Bird Treaty, and something most birders think of as only a past, not a current conservation threat. However, these birds do not enjoy the same protection though out their entire range. For example, in Barbados, a key strategic stopover point for exhausted birds traveling towards South America in the fall, hunting is a long-term tradition. Luckily, entities like the US FWS and Birdlife International are working with the hunters in Barbados on species conservation and voluntary limits. However, the story could be different in places such as Guyana where apparently all shore-bird species can be hunted. Support healthy wetlands and estuaries, where these birds stop to feed. The Mendenhall Wetlands Important Bird Area often has concentrations yellowlegs. It is threatened by continued adjacent urban development, and sewage treatment. If you see a bunch of these birds report it in eBird. Hotspots in migration could be important information. Around Juneau, dogs chasing shorebirds could have an impact. Yellowlegs have a long, long, ways to go—disrupting important feed-ing time could affect their schedule, making them more vulnerable to problems they may face on the way, such as storms. Encourage those you know to keep the pups close when around shorebird feeding hotspots. Support organizations and government groups that study shorebirds such as: US Fish and Wildlife Service in Alaska, University of Alaska at Anchorage, Alaska Department of Fish and Game, and Birdlife International. 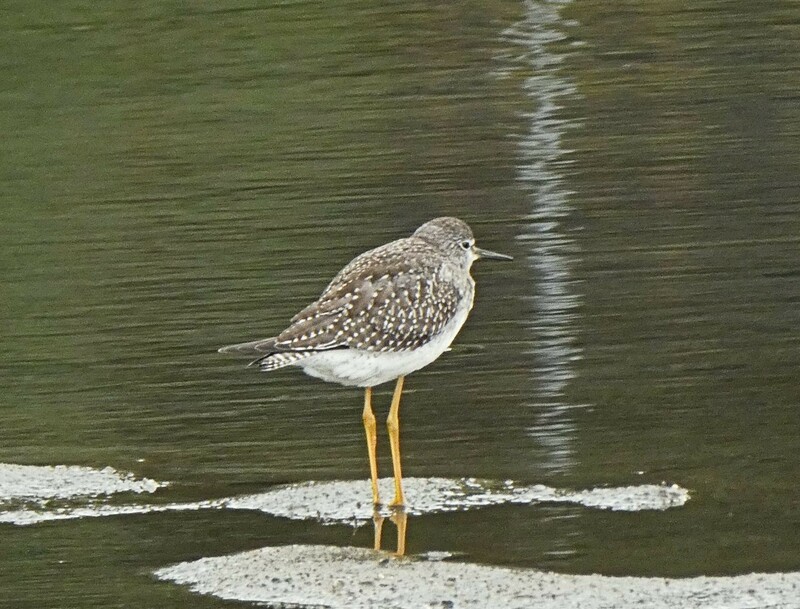 Report Lesser Yellowlegs in eBird, especially if wandering out in our many "underbirded" areas of remote Southeast Alaska. Beginning birders will enjoy this challenge: separating from Greater Yellowlegs. Be sure to look closely at the bill length, com-pared to the rest of the head. Recently Dr. Nils Warnock, Executive Director for Audubon Alaska, spoke in Juneau about the latest Audubon watchlist for Alaska. The list uses the best available trend information to highlight species that are in decline, or especially vulnerable to big population drops, and for which key parts of the birds’ habitat is within Alaska. This will be the first article of a series discussing the red-listed watchlist species that are found locally in Southeast Alas-ka, and some ideas about what we can do to help these birds. The following birds may be found on the Christmas Bird Count (CBC) for Juneau. Information gained on the CBC is part of the picture that scientists use to make assumptions about species declines and changes of ranges. We thank all volunteers who help with this event. These ducks often congregate in our area during spring and fall migration, occasionall y in large flocks (of over 800 birds) have been registered on the CBC. Reasons for widespread and serious declines over past decades are not known. There are many hypotheses; contamination issues and loss of boreal wetlands as permafrost melts are strong contenders. What can we do? If you hunt or know hunters, consider passing on taking scaup. Since it’s difficult for most to quickly distinguish the greater from the lesser scaup, and there are also some concerns about both species; avoiding both is a safe option. Suggest targeting more common species, such as mallards. Currently the limit in Southeast game unites is 7 ducks per day (freshwater types, with no more breakdown by species given). This could give the false impression that all duck populations are equally abundant in Alaska. Nationwide, waterfowl species in general are well managed by a collective of federal and regional coordinators, and hunters have been a positive force in habitat conservation. As a result, many duck populations are doing well. However, local regulations have not caught up with national conservation pri-orities. Report large flocks of scaup on eBird. A good summary of how to tell the two species apart can be found online here . 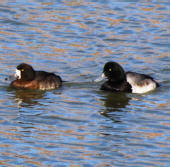 Greater Scaup are often seen in salt water. Add this "freshwater" duck to the countless species that will benefit from any initiative keeping our water clean. Audubon Alaska lists a global population for this species at only about 24, 000. Considering its breeding range covers parts of Northern Alaska, Canada and Russia, it’s a lucky birder who sees impressively large and indeed yellow-billed bird. Southeast Alaska is lucky to have a smatter-ing of observations near most communities, and is considered part of its normal winter range. This species is not considered endangered by the US Fish and Wildlife Service (USFWS), but concern has led to extensive assessment of its threats and information needs. According to the Alaska Department of Fish and Game, "Breeding habitat loss or degradation, reduction of prey base due to overfishing, incidental mortality in fisheries, subsistence harvest, and predation are the main potential threats to yellow-billed loons." The good news for this species is that it is on the radar of managers in Alaska. Acording to the USFWS "The Conservation Agreement (Agreement) for the yellow-billed loon (YBLO) Gavia adamsii," has been developed as a cooperative effort among local, state and federal re-source agencies in northern and western Alaska in order to take measures necessary for the conservation of the species." What can we do? Speak up for the federal and state agencies who employ trained biologists to responsibly monitor and inform the public about wildlife manage-ment. Budget cuts and vilification from the public continue damper the effectiveness of agencies to do their job. Contribute to knowledge of where these birds breed and range by reporting observations in eBird. 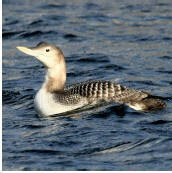 In winter it can be quite difficult to distinguish at a distance from the Common Loon. In fact, a quick perusal of biding forums on the internet will yield vigorous discussion and plenty of conjecture by hopeful watchers. An advanced birding guidebook is helpful to distinguish the two. Support fisherman who are taking measures to reduce or eliminate by-catch of seabirds. Southeast Alaska is a hotspot for this species, where we can enjoy by lower research esti-mates, some 100,000 members of this species that is listed as endangered in the lower 48 states. The watchlist states "Threats in Alaska include marine regime shifts that affect food supply, predation by avian predators, incidental bycatch in gillnet fisheries, and logging of old growth habitat." What can we do? Support fisherman who are taking measures to pro-tect seabirds. Support conservation and research for recover of the small bait fish eaten by murrelets. Consider that Marbled Murrelets in Southern-most Alaska could be affected by timber sales of large trees. (Note that murrelets do use other habitats, such as mossy rocks, farther north). 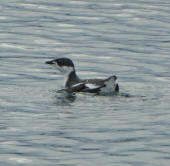 Maintaining water quality in the Inside Passage will help murrelets. Feeding birds can be fun and increase our appreciation and awareness of them. However, it’s vital that in doing so we avoid creating problems. It’s also important to note that birds don’t need handouts from us. What they need most is wild habitat to survive. When considering feeding, the first question is: is it a good idea to lure birds in? Unfortunately, if there are hazards nearby such as a loose cat, a dog that chases birds, a busy street, lots of windows, an electric fence, or any kind of pesticide use, etc. the answer is “no”. If you do decide to feed birds, there are some other things to consider. One is bears. They should be waking up and prowling around, right about now. Feeders need to be way up where bears can’t access them. Seeds on the ground should be sprinkled lightly preferably in a thick bushy area or up on a high porch so that it would not be efficient for a bear to lick them up. Alaska Department of Fish and Game recommends taking bird feeders down during the months that bears are at large. Squirrels and other small mammals can be slowed down by sprinkling seeds (or suet) with hot chili pepper powder such cayenne. Birds are not affected by capsicum, the “hot” substance in chilies. Squirrels, while annoying, are not always a threat to birds. It depends on the squirrel. Studies have shown that some individual red squirrels are good at nest searching and have a taste for eggs. Others don’t. I’ve personally seen certain squirrels attempt to pounce on feeding juncos. All of them can eat a lot of expensive birdseed in a short time. Sanitation is important. Feeders need to be cleaned consistently and frequently to make sure there is never any spoiled or moldy food, and to reduce the risk of disease being passed between birds. And watch out for sharp, dangling or catchy parts. There are lots of do-it-yourself feeder designs online and elsewhere. Take a close look at these, as they are not necessarily good designs for birds. Even some commercially available are dubious. Buying from a vender that specializes in bird supplies is usually a good bet. Seed feeders should be emptied at least once a week, washed with a nontoxic cleaner and dried before putting back out. Clean suet feeders once a month or whenever suet is replenished. Personally, I find a wide sprinkling of seeds in a patch of thick bushes to be a much easier option. Placement in relation to windows is another consideration. Feeders should either be right next to a window, or far, as in more than 40 feet away. The concepts is that if something spooks a group of feeding birds, these options allow that either the bird has space to navigate around the window, or would not have started going fast enough to be hurt if it does hit. Of course, anything that makes windows more visible is a good idea too. Hummingbird feeders should be changed twice a week. All surfaces should be scrubbed with a brush (you can buy small bottlebrushes online or try using pipe cleaners for the small holes). Soak first in vinegar if any mold has formed. Glass reservoirs can also be sanitized with very hot water. Avoid feeders with plastic storage reservoirs, and any surface that are not easy to clean. Feeders with holes that are on a flat platform should be drilled to make at least as big as a standard school pencil eraser; smaller holes on a flat plane can catch birds beaks or legs and cause serious injury if something startles them. The best recipe for hummingbird food is one cup of white sugar to three cups of boiling water. Dyes are not necessary and may not be safe. Brown, raw or organic sugar contains iron which can be bad for the birds. Honey is dangerous too, as it may cause food poisoning. Not sure you want to deal with cleaning a feeder or buying seeds? Birds are attracted to alternatives. Native plants, for example. Willows are one of the best for attracting a variety of species, but any native tree or shrub will have its fans. Around here most can either be grown from cuttings along a roadside, or will just sprout out of an untrammeled area. And the more you let them grow wild and unkempt the better. Any kind of shelter, even if it’s just a pile of boards or junk, sticks, etc. all are good for small Sbirds. What a great excuse to not clean up the yard! Avoid leaving out dead-ends like crab pots, loose fibers, or netting, and especially pipes left upright, that could trap a bird. Old dead branches, snags and logs may look a little unsightly, but if you can tolerate them, they are wonderful breeding grounds for beetles and other tasty invertebrates that nesting birds love. A simple source of shallow clean water can bring birds in to bathe, even in our wet environment. Ornamental plants with fruit or flowers can be excellent for attracting showy birds like waxwings. But they come with another serious precaution: buy organically grown stock or get assurance that the plant has not been treated with systemic pesticides. These days, a lot of nursery plants are treated with neonicotinoid pesticides, some of which have been shown to be toxic or sickening agents to birds. All parts of treated plants, including nectar, carry the pesticide. These pesticides are also toxic to bees, flies, and other insects that local birds might be interested in eating. Now here’s something you don’t have to worry about: cutting off the food supply. Wild birds are adaptable. If you go traveling and nobody can feed the birds, don’t fret too much. You might miss your birds when you get back because they’ve moved on, but they will move on. Ephemeral food sources are a natural reality for every species. You are not going to change a migratory bird’s pathway. It could be that on a long-term time scale, food available from humans does change distributional patterns, but migration is complex and instinctual, and not going to be influenced either way by a single food source. 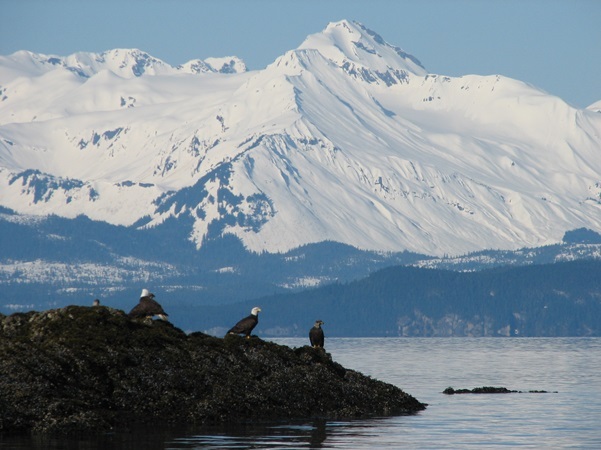 As an organization JAS has historically been focused on environmental education and conservation in Southeast Alaska, with a focus on birds and wildlife. This is still true, but we also recognize the importance of monitoring and research, especially of bird population for both our migratory and resident species. Here are a few ways we help. Christmas Bird Count – this is a long-standing, wide range count that Audubon supports. The data from the CBC is now being used to see how birds’ winter range, distribution and populations have changed over time. Comparing this with climate data we can see how some birds have shifted northwards in the winter. Other citizen science efforts - we are always encouraging our members to use eBird so their data can be pooled with this great emerging database. Specifically, we try to publicize special count events such as the Great Backyard Bird Count, and the Global Big day. Even our field trips are usually entered in to eBird and make for several fairly consistent springtime “snap shots” of the bird life, with plenty of skilled observers. 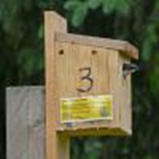 Tree Swallow Nest Boxes – as a group aerial insectivores have declined. It’s hard to believe, but the once common Barn Swallow has dwindled to the point that the species is listed as Threatened in Canada. Tree swallows face similar feeding challenges to other insectivores. By getting a population occupying boxes annually near Juneau we can initiate further studies. Arctic Tern Monitoring – New this year, JAS in partnership with US Forest Service plans to sponsor an Intern who will study and help protect Arctic Terns around Mendenhall Lake. I’ve hung my rain cap here in Juneau for most the time since 1998. Something I always pondered is, where are the moose? It didn’t seem fair that Gustavus and Petersburg would have them, and Juneau didn’t. They were up the Taku and Berners Rivers, but wouldn’t venture in between? I made it a point to bring up my inquiry in conversations with biologists, naturalists, and hunters. Sometimes the answer was "lack of habitat". I never bought this one, as I looked around at plenty of the plants that the browsers enjoy in other parts of Southeast: willow, highbush cranberry, even blueberry. A more persuasive answer was simply "dispersal rate." According to ADF&G reports, moose only started appearing in Southeast Alaska in general in the early twentieth century. The moose simply hadn’t found this habitat that, on geologic terms, is new and still being uncovered as glaciers recede. And the fact that other communities were colonized first had to do with proximity to a direct river from interior Alaska-- and some luck. There had been a few sightings over the years around Juneau though. I even saw the pellets of a cow that had been reported at, of all places, Moose Lake. I eagerly awaited the day when more moose would show up near the Juneau Road system. Starting in fall 2013, I noticed tracks and browse around Point Bridget State Park, apparently of a cow and at least one calf. A Juneau Empire story reported sightings "out the road" as well that fall. The following year, I found more tracks and sign. But despite many hours devoted to sneaking around in the rain, never saw even a glimpse. Finally, in fall 2015, I had the incredible luck to see a cow, a grown bull and small bull, all together near Cowee Creek. And the excitement builds as recently there has been solid evidence of a cow and bull in Mendenhall Valley; also, a cow in the Thunder Mountain bowl and a young bull at Boy Scout Beach. Where did these moose come from? Perhaps some DNA work will tell us in the years to come. It seems most likely that the animals traveled from Berners Bay. That population there was introduced in 1958 and 1960 with 17 and 11 animals respectively, stock from the Mat-su Valleys. But of course, wildlife dispersal is not always as one would assume. 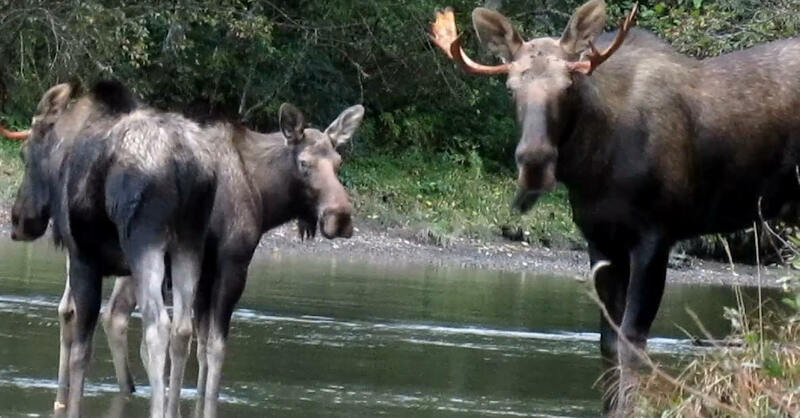 Moose dispersed into Southeast Alaska from British Columbia. The Anderson subspecies (Alces alces andersoni) colonized different areas in a complex pattern, sometimes established by only a few "founders", but with potential for mixing with subsequent incursions of the larger interior Alaska moose subspecies (Alces alces gigas), especially in the Haines and Yakutat areas. (An interesting write up about this can be found here: http://www.adfg.alaska.gov/index.cfm?adfg=wildlifenews.view_article&articles_id=602). What’s going to happen next? A handful of animals is hardly a population yet, but at least we have the right elements to spur the imagination. Juneau will be different if moose become frequent denizens. I wonder about the human and wildlife interactions. Will drivers learn to slow down going out the road in the evenings? Will animals be shot by poachers? How many loose dogs will be stomped if there is a mom and calf roaming the Mendenhall Glacier Recreation area? Nobody is more eager to see the moose than I, but cringe the community might love the animals to death: naming them, feeding them, approaching too close to get photos. ("Romeo" the wolf comes to mind here). Either way, it’s bound to make our fall walks around Juneau more exciting for a while. Photo by G. Baluss (taken with a zoom lens while hiding, breathless, behind a log). Moose at Cowee Creek, September 22, 2015. To all volunteers who collect eagle feathers under the Juneau Audubon Society US Fish & Wildlife Service permit. JAS has received a new feather collection permit. The permits are available by e-mail and paper from Brenda Wright. Each of our permits are good for three years. The 16th Alaska Bird Conference was held in Juneau, December 9-11, 2014. There were over 40 scientific papers and 20 posters presented at the conference. The conference drew more than 100 students, scientists, educators, and researchers from across the state and the Pacific coast. Included in the conference sessions were climate change, breeding ecology, disease/contaminants, foraging ecology, movement ecology, and populations and distributions. http://www.alaskabirdconference.org/Alaska_Bird_Conference/Home.html, you can see the full program and also get the abstracts. A special fund raising event by Juneau Audubon, Audubon Anchorage, and ADF&G enabled us to film the keynote speaker, Gerrit Vyn, for 360 North. If you would like to see this presentation you can enjoy it online at http://www.360north.org/events/alaska-bird-conference-2014-keynote-address-gerrit-vyn/ (You may have to wait for an update on the site, the presentation would not open for me). Richard Carstensen’s gorgeous new book explores the natural history of the Juneau trail system. It makes a great gift, and for only a limited time your purchase will directly support Discovery Southeast and Audubon. 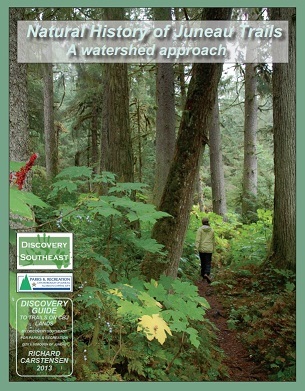 Natural History of Juneau Trails will be available in stores in 2014, but is available now for a limited time as a fundraiser directly from Discovery Southeast. The price is $24.00. To order directly from Discovery Southeast on-line click here. Use the code “Audubon” and profits from your purchase will be split between Audubon and Discovery Southeast. A treat for any outdoor enthusiast. Buy it now to support Audubon and Discovery Southeast!